That’s an understatement. Amy has faced career threatening injuries for much of her senior career, had to work alongside training to fund herself, and even switched nationality – from Great Britain to Antigua and Barbuda. Not to mention her longest ever jump is 20cm off the mark needed to qualify for the Rio Games. 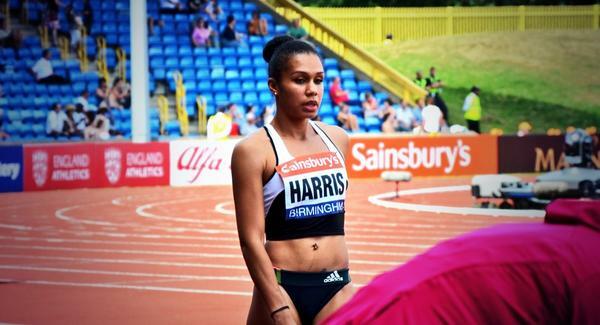 Amy has represented the caribbean islands of Antigua and Barbuda since 2014, but is still very much a part of the British athletics scene she once lit up as a junior. She’s trained by British Athletics’ national jumps coach Aston Moore (who coached Philips Idowu to Commonwealth, European and world titles) and is based at their high performance centre in Birmingham, where she’s from. Amy enjoyed a lot of success in her younger years. Once she realised cross country wasn’t for her aged 11 (“It was really cold and wet, and I remember crying my eyes out saying: ‘I can’t do this anymore!’), she became a long jumper and never looked back. She was 16 years old when she became Commonwealth Youth Games champion for Britain. A year later in 2005, she won a silver medal at the European Junior Championship. But one injury-ravenged season after another followed, and she was in danger of being yet another teenage athlete who’s talent fails to transition into adulthood. For the past eight years, Amy has had to continually battle with her body giving up on her. A slipped disc in 2008, a damaged leg tendon in 2012, a torn achilles in 2014. Just last year she had a problem with her foot which wiped out the whole of the 2015 season. Perhaps, just maybe, athletics wasn’t for her? “Kelly Sotherton (Britain’s Olympic heptathlon bronze medallist and mentor) sat down with me and said: ‘You need to make a decision.’ We came to the conclusion that I needed to stop because I was doing more harm than good. I burst into tears. My season was over and I had to accept it. “I decided to have a normal summer. I was still doing my rehab but I wasn’t flying away to compete.” That’s when Amy swapped her running spikes for high heels. 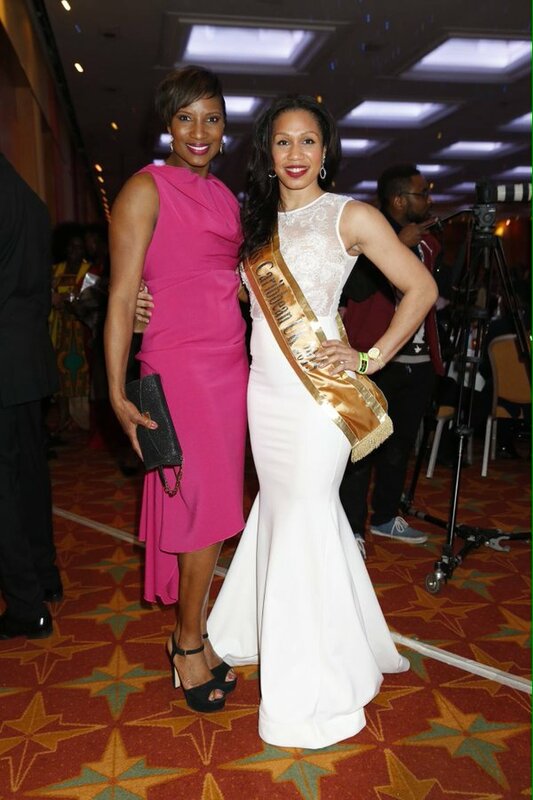 A friend saw an advert for the Miss Caribbean UK beauty paegent in a newspaper and it provided the perfect distraction from her athletics woes. Amy was born of a white English mother and a black Antiguan father. Her mixed heritage made her childhood tough. “Race has always been an issue for me because I grew up only knowing one side of my family – I didn’t know my black side. I grew up in a white neighbourhood so I wasn’t really around black people. I remember when I was at school being called different things,” she explains. 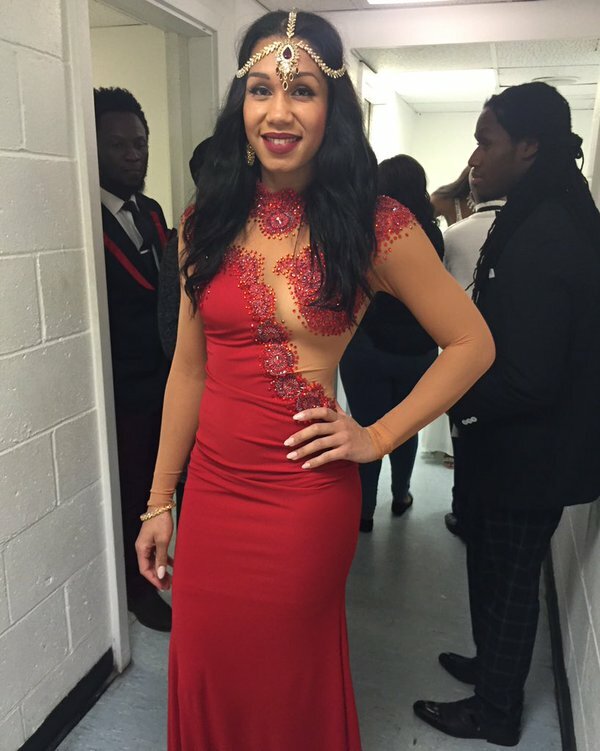 Amy is the national long jump record holder in Antigua and competed for them at the 2014 Commonwealth Games. Although injury ruined her preparations and she was unable to record any legitimate jumps, the experience should serve her well in Rio: “I wasn’t in the best shape because of injury but it was a really nice moment for me. I’ve struggled a lot with injury in my senior career but [qualifying for the event] made me feel I’m good enough to make the standard at international level,” she says. Amy is training six days a week, sometimes twice a day, alongside working as a sales assistant at Nike, to reach the qualifying mark for her first Olympic Games. The longest jump of her career came five years ago where she leapt to 6.50m. To line up at Rio, Amy needs 6.70m, “and to not be injured” she laughs. You can follow Amy’s journey on Twitter and Instagram.